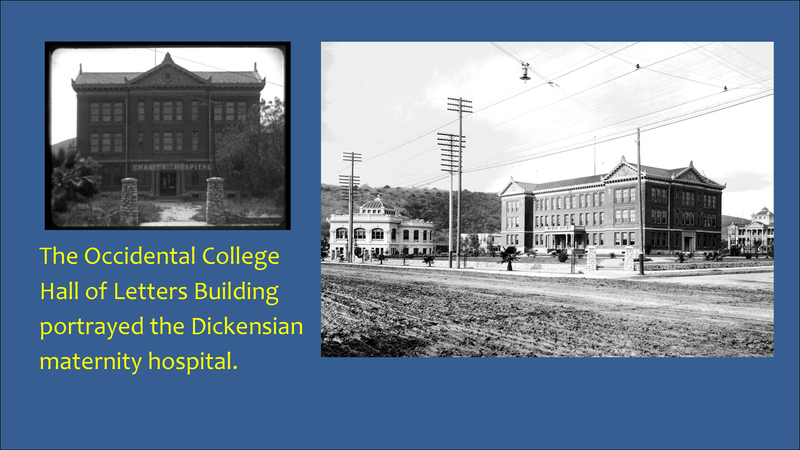 In a prior post, How Charlie Chaplin Filmed The Kid, I explain that the former Occidental College Hall of Letters building, once visited by Presidents Taft and Teddy Roosevelt, portrays the Dickensian maternity hospital where single mother Edna Purviance is cast into the cold, cruel world. Astonishingly this building, trimmed of its upper floor and roof, is still standing, now a modest apartment block in Highland Park. 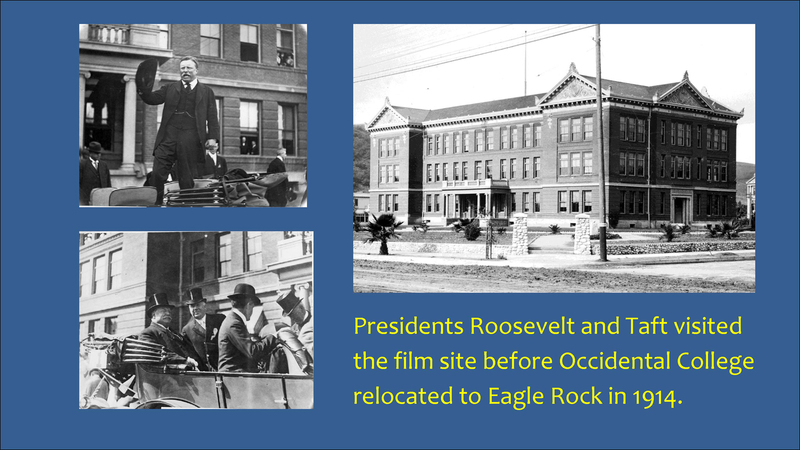 (The original campus building was abandoned when the new, larger Occidental campus opened in nearby Eagle Rock in 1914). Chaplin scholar Brad Alexander (who is researching the connections between Chaplin and Albert Einstein) visited the site recently, and sent me some remarkable photos from both outside and inside the building. (Having discovered this spot using the Internet, and living in the Bay Area, I have yet to visit the site in person). 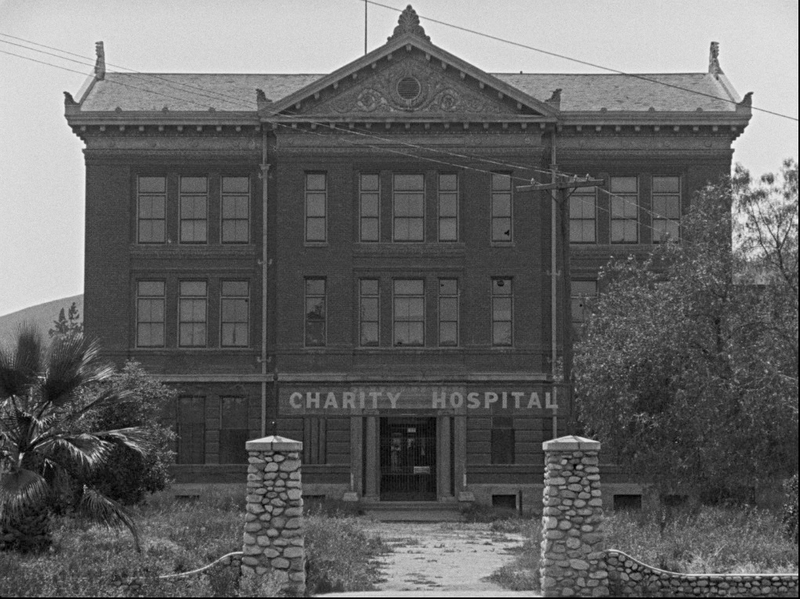 Click to enlarge- the east entrance appearing in the film. Brad Alexander. Now that The Kid is released on Blu-ray, I continue to be amazed at the striking details apparent in the film. 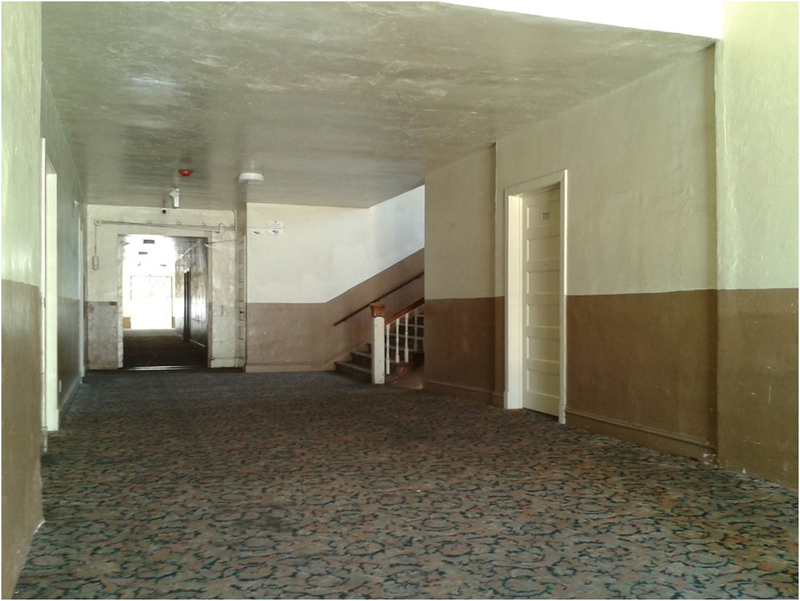 If you click the above then and now image, you can clearly see the interior steps leading down from the main hallway that Edna strode as she departed the building. The stairs are still there, and now you can see them in the movie too. 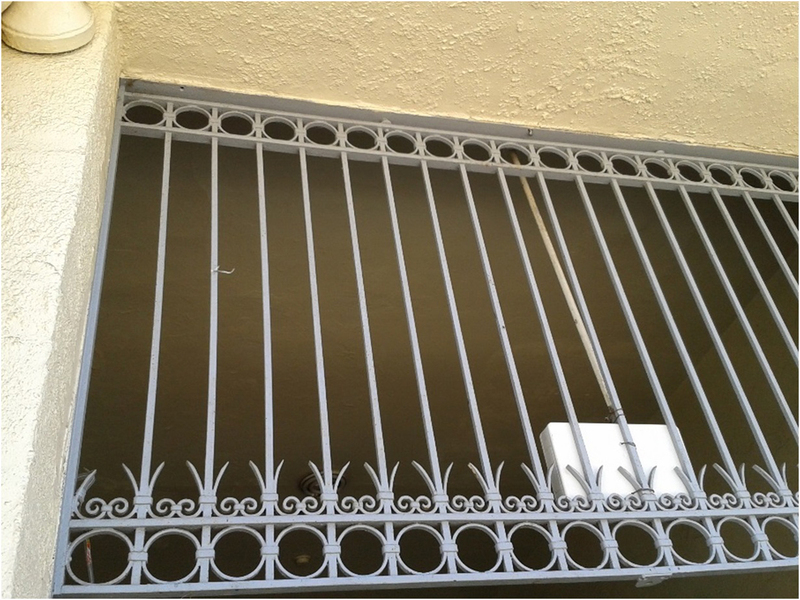 At the left you can see that the upper grill details that once stood above the gate still remain. Click to enlarge – three sets of interior doors along the hallway can be seen. 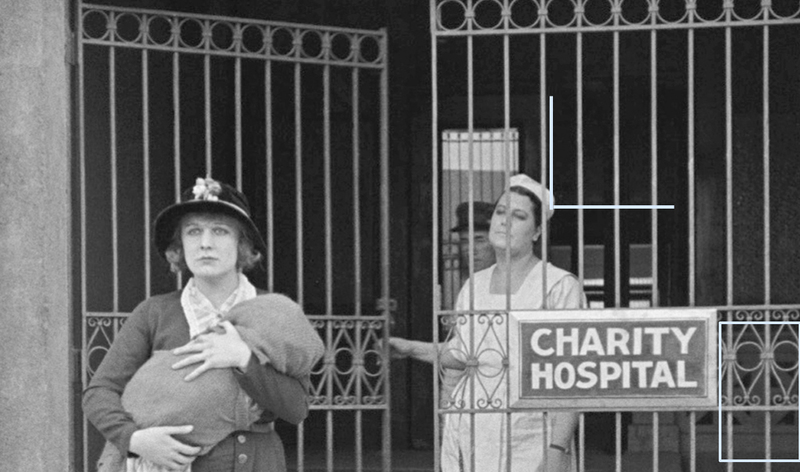 Brad reports that the nurse was portrayed by Chaplin’s personal secretary Nellie Bly Baker. Thanks to Brad’s visit, and the Blu-ray detail, I also now understand the interior layout of the hall. There were three sets of doors. First, an interior pair of glass entrance doors stood just up the stairs from the gate, the reflecting left glass door is closed (see vertical line above). Next, a pair of doors further into the building closed off a section of the hallway (see horizontal line above). All the way down the hall, just above the CHARITY sign, you can see part of the glass entrance doors on the other side of the building. Note that the elegant marble balustrade (see box above) is no longer present. 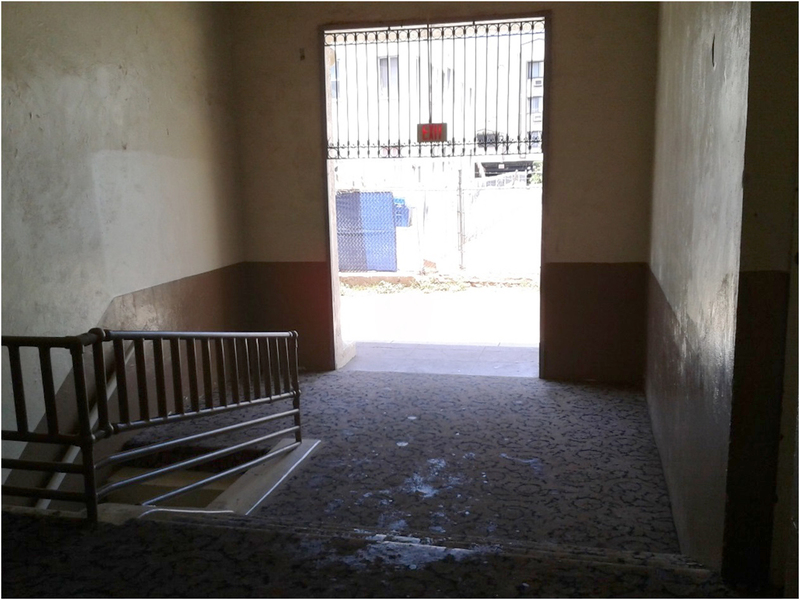 This view (left) matches Edna’s view as she walked down the stairs to the entrance gate. The glass doors at the top of these stairs are no longer in place. Notice that the carved marble balustrade that once stood to the left has been replaced with metal railings. From the same spot, where the glass entrance doors once stood, this view (below, right) looks in the other direction, west from the top of the stairs, towards the deep interior doorway that can close off a section of the hallway. This doorway is highlighted with the blue horizontal line in the detailed view of Edna above. 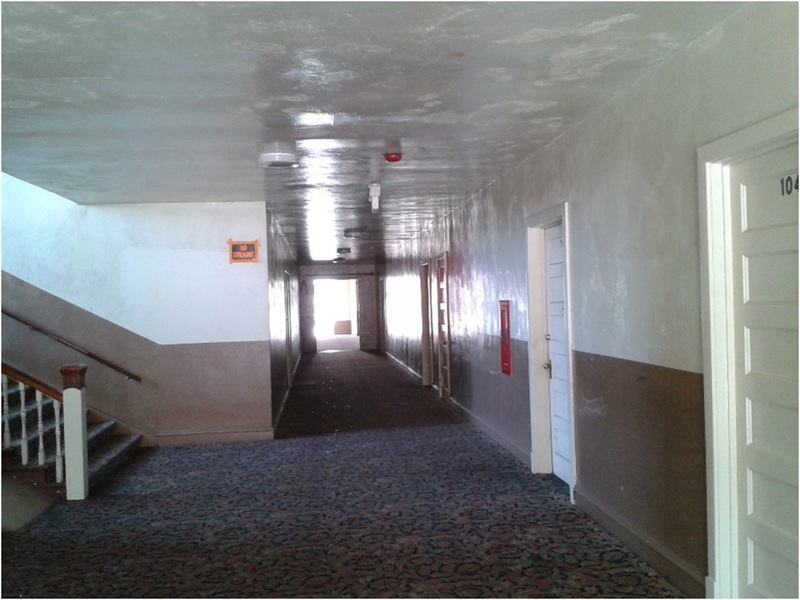 This view (below left), looks east, from inside the other entrance of the building, down the length of the hallway towards Edna’s exit at the far end of the hall. Matching views of the east side of the building. 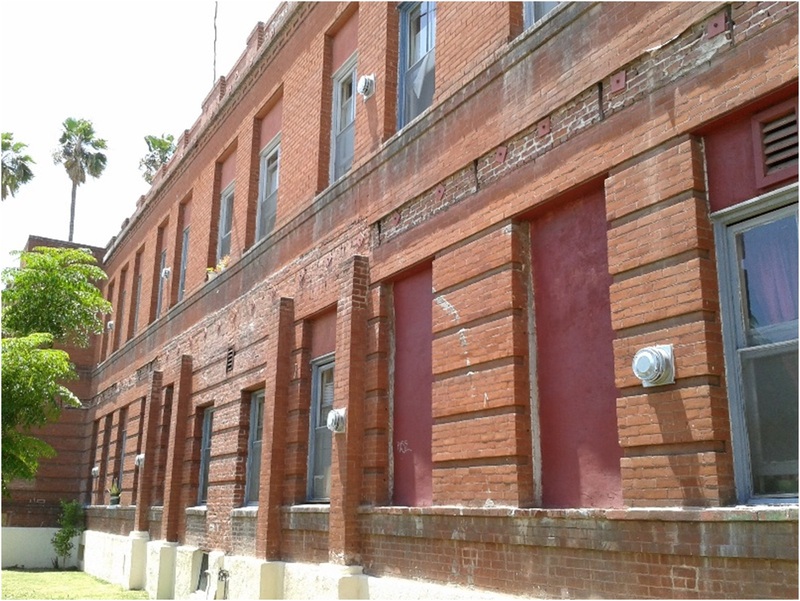 The south side of the building, where Presidents Taft and Roosevelt once spoke (see below). I wonder if the people living here have any idea that two Presidents of the United States, and Charlie Chaplin, all once came here to visit. You can read all about how Charlie filmed The Kid in my Chaplin book Silent Traces. I want to thank once again Brad Alexander for sharing these photos. I would also like to thank my friend Jeffrey Castel De Oro for taking all of the photos of this building originally appearing in my book. 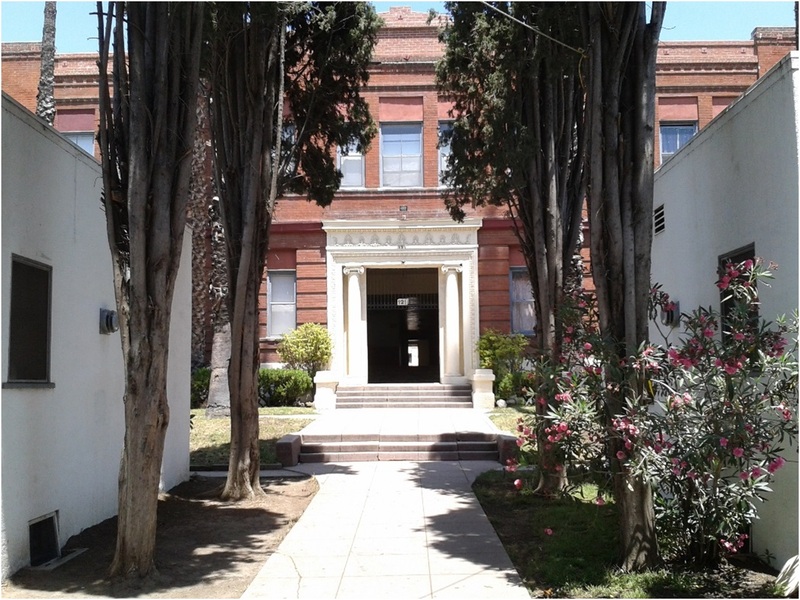 At left, and below, the west entrance to the building (the side not appearing in the movie), partially blocked from view, is reached by walking between the row of bungalows at 121 N. Avenue 50, in Highland Park. 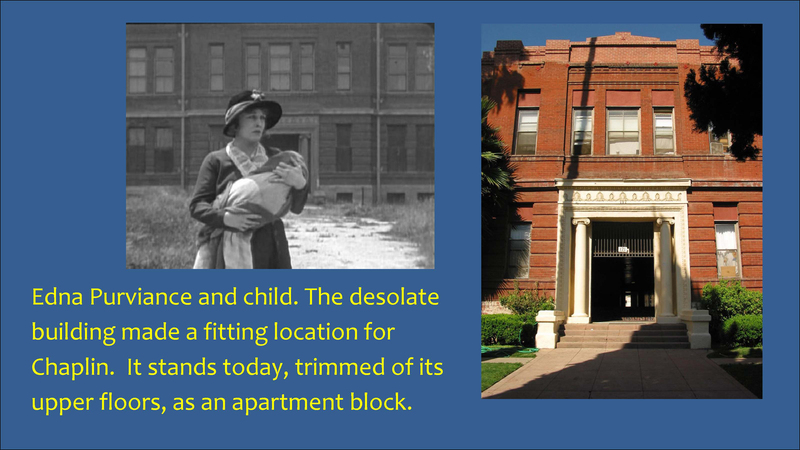 This entry was posted in Charlie Chaplin, The Kid and tagged Chaplin Tour, Charlie Chaplin, Occidental College, Silent Comedians, Silent Comedies, Silent Movie Locations, The Kid, then and now. Bookmark the permalink. Fascinating. I just love what you discover. Thank you so much for your continued appreciation for the movie past. My new book has just been published: “Hollywood Heyday” by R.G. Armstrong. Thanks R.G., and congratulations on your book. Thank you, John. Keep up your fabulous sleuthing of the movies’ beginnings. Just adore your new finds. And, your books are fabulous for anyone who love Hollywood History. A little more interesting due to the fact that the upper floor was removed. I have no idea why such a feat would be undertaken, but I am curious. I can imagine that that could complicate initial attempts to identify the building, so good work! Hi Frans – would you first please send me more details before I respond?